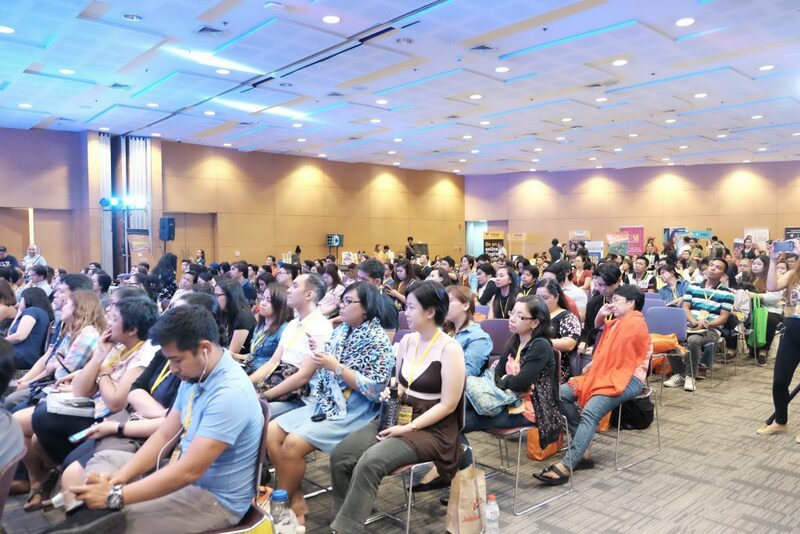 If you are a freelancer and you were not there at the biggest annual event for Pinoy freelancers in the country — The Freelancer Fair — then you just missed half of your life. First of all, hats off to Ginger Arboleda and the Manila Workshops for a job well done for running this conference for the 2nd straight year. We have to thank Ginger for making this fair a reality. So I will definitely be somewhat biased here because I hosted the event together with my co-host, Jieneb Kho. 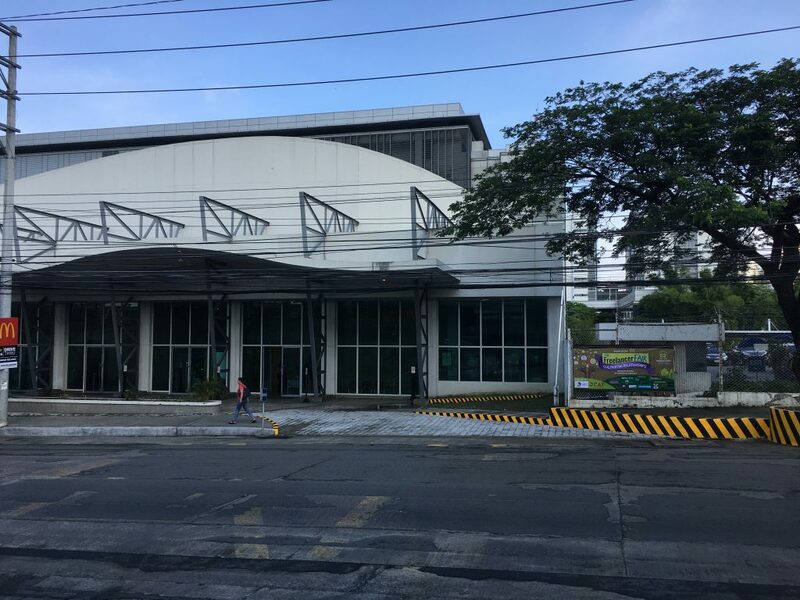 Bayanihan Center I believe is perfect for conferences that will house more than 500 freelancers. Last year in Acacia, turn out was only about 200, so the decision to move to Bayanihan was the right one. Also, I think the Acacia Estates Tent was too big. That made the audio from the stage pretty difficult to hear. Because of that, people did not stay that long to listen to the speakers and they’d rather roam around the venue. This resulted in some patches of empty seats in the main event area. I know because as the host, I saw that from the stage. But for this year, Bayanihan is like a big conference area of a hotel — enclosed, well-airconditioned and well-lit. This was perfect for me as a host because I knew that whatever I am saying on stage will reach everyone’s ears, even up to the person at end of the room. Also, partner and sponsor booths were situated inside the conference area, which meant that people need not leave the room and they can stay inside and listen to the speakers. So as I can see from the main stage, all 500 of the seats were really filled with people. 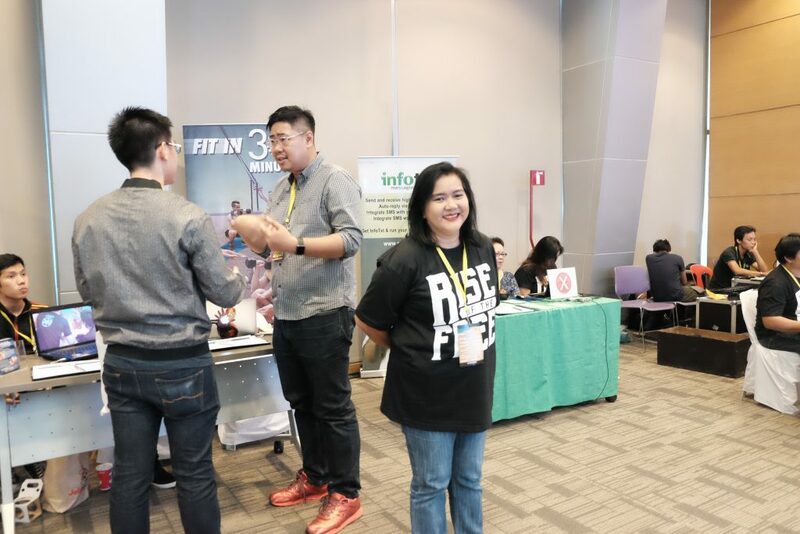 This year, the program was smoother and also more interesting because we did not just have online freelancers as guests, we also had freelancers from the fitness, creative, real estate and finance space. I think that this is a good idea because the word “Freelancer” encompasses a wide range of fields and industries. 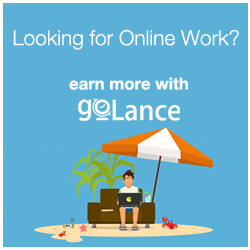 We share the same concerns and issues and we online freelancers can definitely learn something from them. Also, people who wanted to ask questions from the speakers were asked to text in their questions. Although tweeting or “Messengering” would have been more IN LINE WITH THE TIMES, the move really saved us a lot of time. I have been to many conferences where the host will take a really long time waiting for volunteers step up to the mic. And when they do get a volunteer, that person will ask tons of follow-up personal questions that almost everyone in the room can’t even relate to. Q&A sessions take really a lot of time and it was a good idea for Manila Workshops to streamline the process. 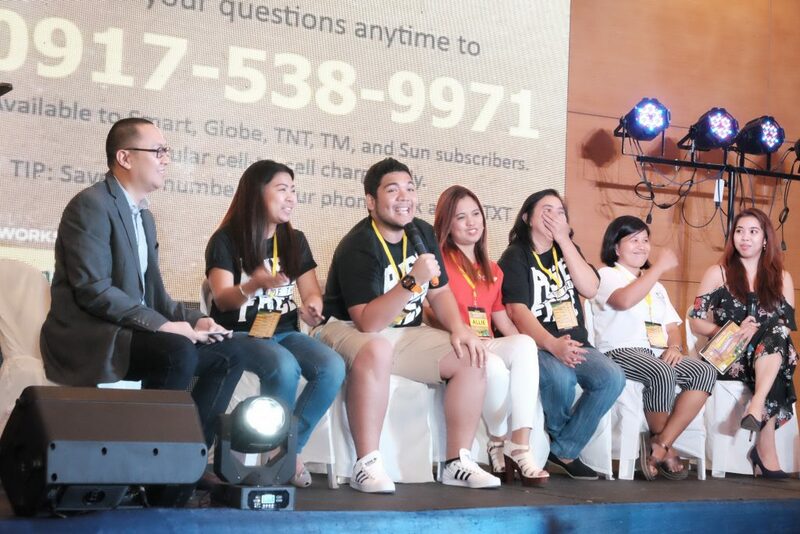 For TFF 2017, we had an amazing line-up of speakers and panelists like Fitz Villafuerte of 199jobs.com, Allie Pasag of DCAP, Charlie Aquino of Sophie Creatives, Dandy Victa of NCDA, Christine Capila of Yoga Alliance, Julia Madrazo of OnlineJobs.ph, Chay Malajacan of Eon, Migs Warren of Payoneer, Usec Mon Ibrahim of DICT and lot more. Sorry but I cannot mention them all here but for me, these 5 people really stood out during the conference and the people really loved them! 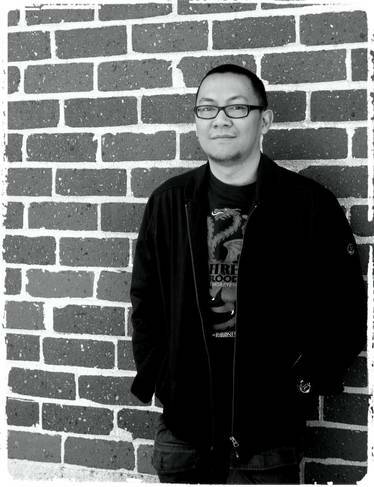 Allan is the founder of Digital Solopreneur and email marketing expert. You know him because he has been on the show a few times. And I am not selecting him not just because he is my friend but his talk really stood out and I believe one of the best in the conference. As you know, it can really get noisy and rowdy in a conference of 500+ freelancers. But when Allan spoke, it was dead silence. Everyone was listening and taking mental notes of his talk entitled “Building Relationships with Email”. Allan was so generous in sharing his email marketing tactics and shared it using a series of stories that really engaged the crowd. Congrats, Allan! We’ve featured Nix Eniego on the show before and I have also attended one of his talks. I consider Nix as the Gary Vaynerchuk of the Philippines, with his feistiness and #realtalk advice. You’ve maybe crossed paths with him in one of the freelancing and digital marketing groups in FB where he shares tons of great advice, for free. 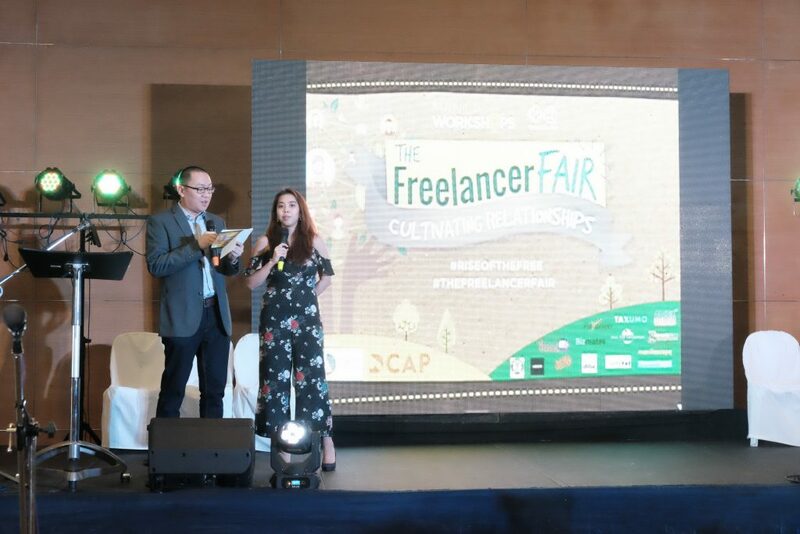 He said for freelancers, especially the newbies, to go around the venue and build relationships with each and every business or group that has a booth at the fair. Also, network with the other freelancers around them. You may also know Liberty Baldovino. I interviewed her as well on the show more than a year ago, and she said after that interview, her career sky rocketed (don’t you know, I’m the Tito Boy Abunda of the freelancing world?). On stage at The Freelancer Fair, her one-liner really brought the house down and many days after the fair, we are still talking about that line inside our Blenders Chat Group. This small woman was really packed with freelancer advice. 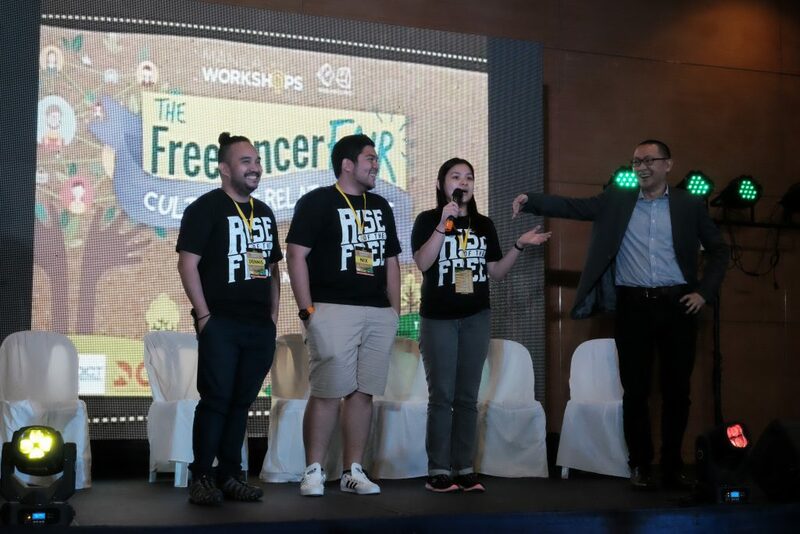 The freelancer group, Online Filipino Freelancers, was supposed to be represented by their founder, CJ Maturino. But when we were calling CJ’s name to go onstage, she was not there (note: she was attending another engagement). So I glanced over their booth and found one of the group’s admins, JC. I forced, er, convinced her to go up the stage to proxy for CJ and she obliged. 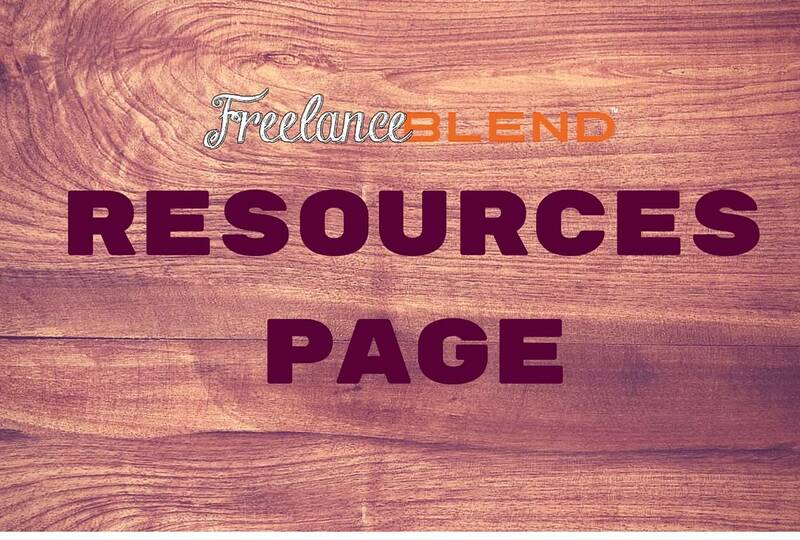 I knew that being an admin of one of the largest freelancing groups, she has many tips and advice to share. And everyone was not disappointed. After the event, she thanked me for “forcing” her to go up the stage. Hehe. 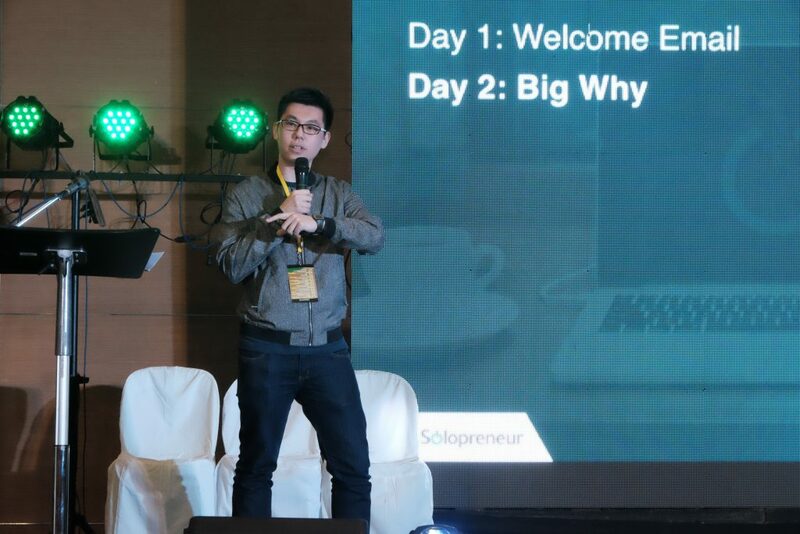 It already a long day and right before his talk, Francis Miranda, as a fitness enthusiast and partner of 360 Fitness, got the crowd going by doing exercises with them to bring the energy back in the room. He then sustained the momentum by delivering a lively and hilarious presentation on creative freelancing. As a host, I would have to thank Francis for helping us revitalize the crowd. He made my job easier after that. If you were there at the fair, you might be wondering, why is everyone wearing those “Rise of the Free” shirts. You might also be wondering, what is “Rise of the Free” all about. 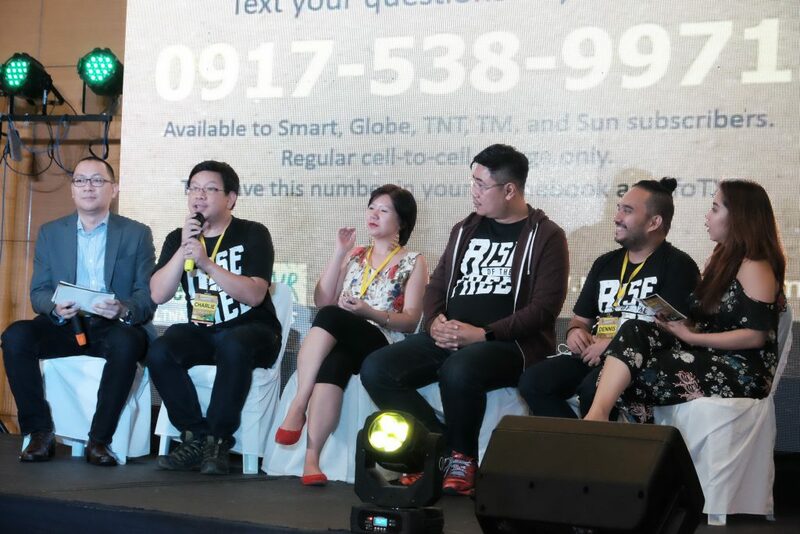 Well one day, Ginger, Nix, Dennis “Shoden” Abad and John “The Legend” Pagulayan and I joined forces and decided to record a show called “Rise of the Free” where we talked about the ins and outs of the freelancing business. It is actually an experiment. Will people want to hear more from us five after that “first” episode? Based on the results in social media, tons of people have spoken and they would really like us to do more episodes. And so during the Fair, we released the trailer of that first episode. Meanwhile, we have since released the first episode. (Click here if you want to watch the first episode). If you’ve joined any of our meetups, you may have been in one of our “After The Meetup” Meetup. Usually, after the meetups, regulars and newbies go out for coffee or dinner to continue with the mingling. We freelancers crave the connection and sense of belongingness with fellow freelancers, after being holed up in the house for many days. We are social beings after all and it is but natural for us to hook up with people who are like us. And that’s what we did after TFF. We had an “After The Fair” Affair. We, a group of about 30 or more freelancers, raided the Buffalo Wings N Things to continue the conversations that we had during the Fair. As the host, I was given a chance by Manila Workshops to have a booth at the fair. But I didn’t know what to do with the booth and I won’t be able to attend to it because I will be busy the whole day hosting TFF. And so I asked for suggestions and volunteers for our very active community of Blenders in Messenger. 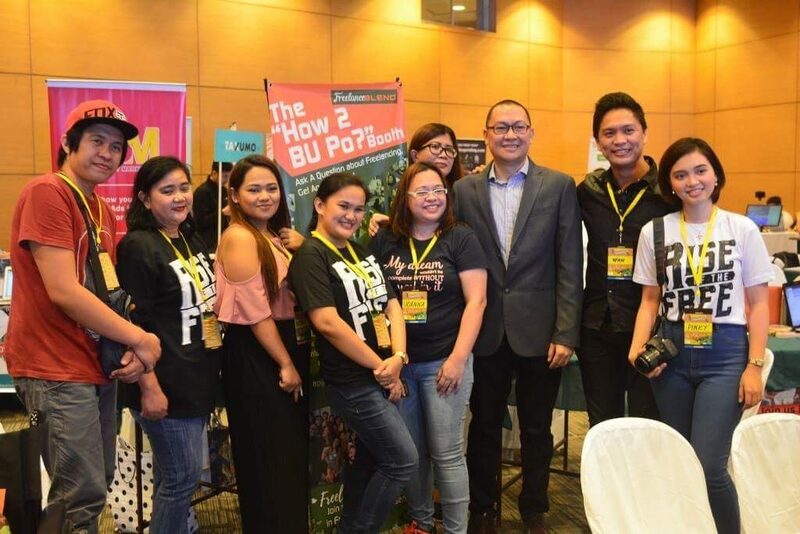 We came up with the “How 2 B U, po” Booth, where we gave away free coaching and advice to anyone who wants to learn from experienced freelancers. 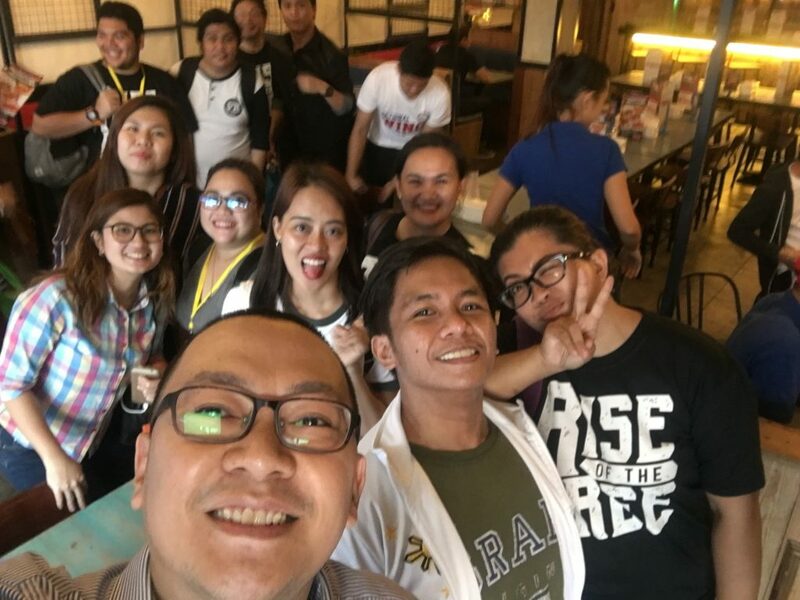 I would like to take this opportunity to thank the volunteers: Daise, Ems, Liberty, Cody, Herlene, Joanna, Pinky and many other Blenders who hung out in the most happening booth of the fair. In truth, I was expecting that we will only be getting a handful of coachees. But, to my surprise, we had 30 plus attendees who received free coaching advice. It’s better than a free t-shirt, fan or sticker right? 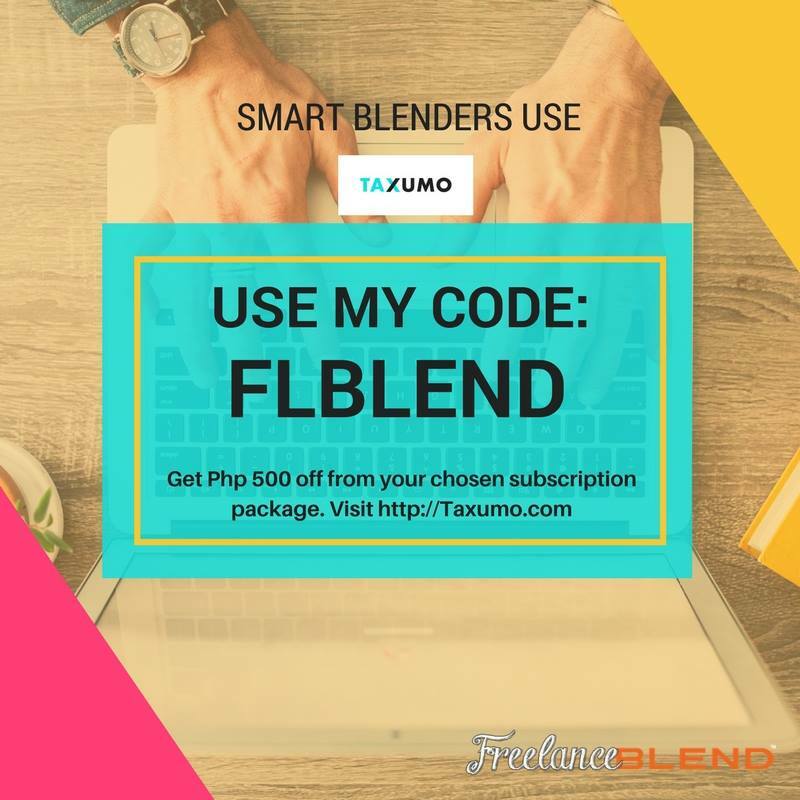 Thanks again to my Blenders! 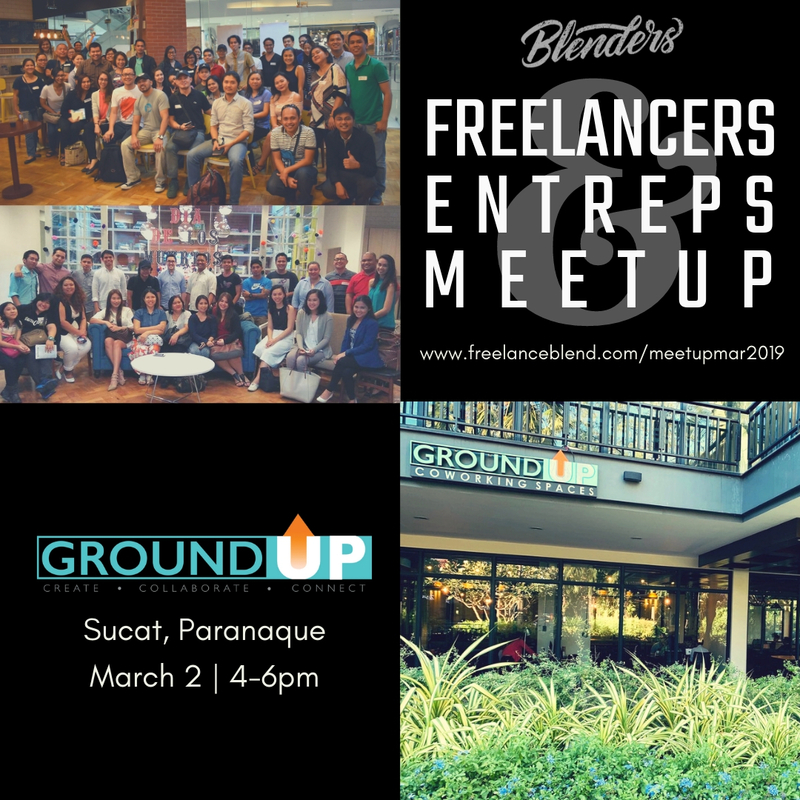 Wanna join our crazy but fun group of Blenders? 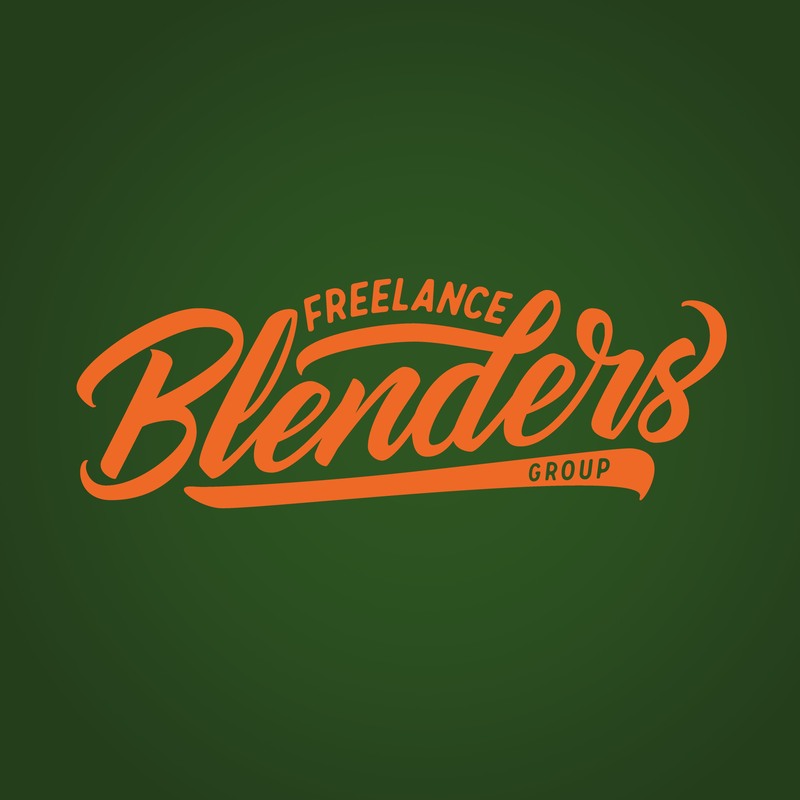 You can join us now at: www.freelanceblenders.com! Whew, it was a really long but fun-filled day. Kudos as well to my co-host Jieneb. I was so tired and hungry after the Fair but it was all worth it. See you again at TFF 2018! Photo Credit to Pinky Anicete and Shoden Abad. You may follower Pinky at pinkyanicete.com and @pinkyanicete and Shoden at dennisabad.com.